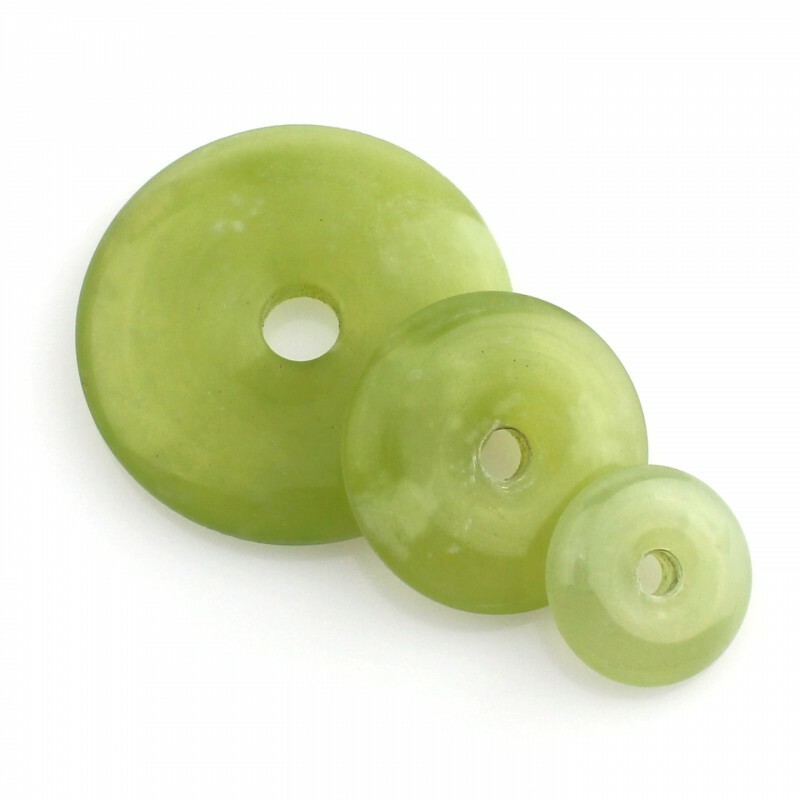 These beads are worked in jade, set in round shape with a hole in the center like a donut, which makes them optimal for pendants or other crafts. - 1.9 cm diameter and 3 grams. - 2.7 cm diameter and 7 grams. - 4 cm diameter and 12 grams. They are translucent and have nice typical jade stones inclusions. The price depends on the size of the stone.